Yesterday was a bit of a grey & drizzly day but more fearful of being stuck indoors with 2 kids bouncing off the walls than a little light rain we set out for an afternoon at Gisburn Forest to do the Gruffalo Trail.Gisburn Forest is approx 1.15 hours drive from our house but thankfully through beautiful countryside so there was lots of options to keep Harry entertained during the drive with counting sheep, tractors, tree’s, red cars, blue cars , etc..etc.. Once you get to Gisburn Forest there is a huge car park with plenty of spaces. It’s £3.00 for parking but I don’t think this is unreasonable as the rest of the facilities are free and they need some money to pay for the upkeep of the facilities. We first headed over to the cafe to grab a coffee for the walk around and to pick up the Gruffalo Trail activity pack (£3). The pack contains an evidence collection bag, 5 fact and activity cards, stickers of the Gruffalo characters, a special magnifying glass, ruler and a pencil. As lovely as it was we didn’t use any of it and was just another thing to carry so, in my opinion, save yourself £3. 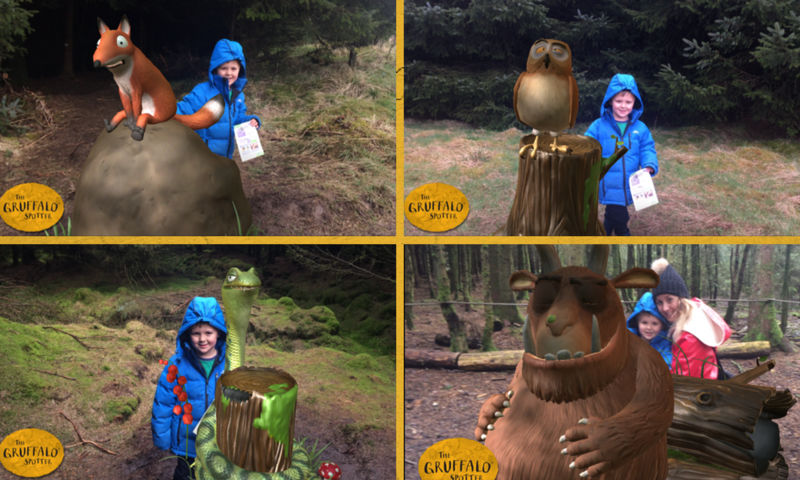 What you do need to do is download the free Gruffalo Spotter App before you set off. DO NOT forget to do this before you go as the forest has no service and truly the trail would be pretty boring with it. At each animal point, you use the app to make the characters come to life. Harry loved the trail and really got into the spirit of tracking each of the characters down. He loved reading about all of the animals and where they lived and what they ate. It is a very clever way of introducing little ones to nature and the countryside. The test of a good day out for us is if Harry is still smiling after 20 minutes. I can’t tell you how many days out that have finished after 1/2 hour as Harry is bored and refusing to join in. The Gruffalo Trail was the total opposite and Harry was entertained for the full hour it took us to get around the forest trail. What I would point out is that the trail is very muddy so 100% take wellies or walking boots with a good grip on them. 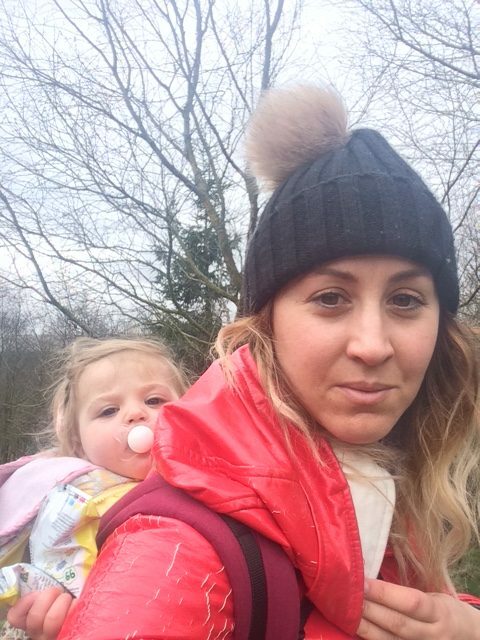 There is no way you could take any type of pram around the trail so any under 2’s will need carrying. I used a backpack carrier I purchased from eBay last year to carry Charley around the forest. After you have finished the trail they have a small park next to the cafe which Harry enjoyed playing on while me & Lee had a quick 5 minute sit down and coffee break. The cafe has a great selection of homemade cakes but we resisted ( this time ). 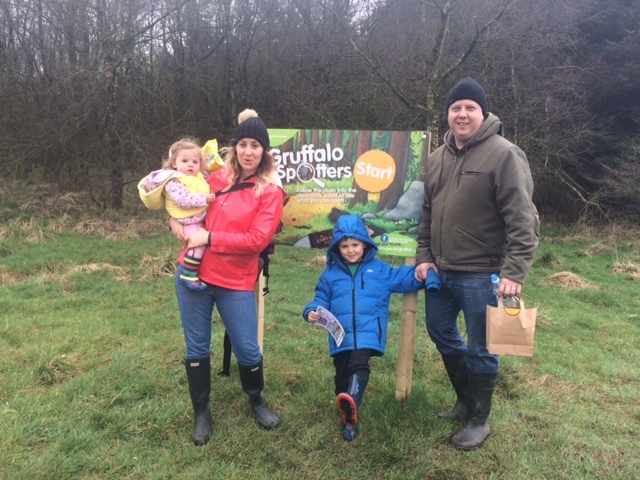 For a family day out and as long as you go prepared I would give the Gruffalo Trail at Gisburn Forest an 8/10. It’s low-cost, very interactive and is set in beautiful countryside. If you fancy taking a trip to Gisburn Forest to do the Gruffalo Trail then here is a little checklist I have put together for you. Change of clothes in case the kids enjoy the mud a bit too much! "POSTS FROM THE HEART #12"
This looks like such a lot of fun. I need to look for our nearest one, we love the Gruffalo!